Things Australians were prepared for during the 2016 federal election: long queues, a very close result, a freshly seared democracy sausage. Things Australians were not prepared for during the 2016 federal election: The resurgence of Pauline Hanson and the One Nation party. 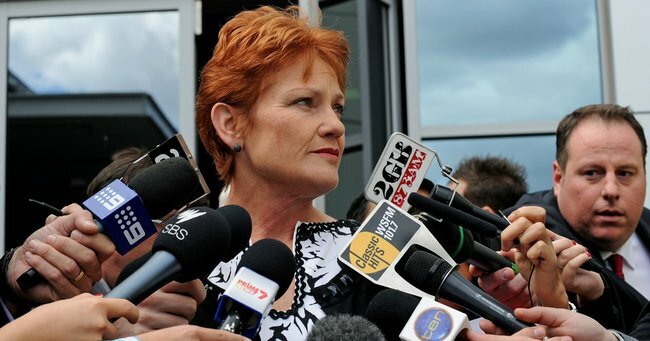 Eighteen years after she first introduced her far-right anti-immigration policies, the leader of the One Nation party is back – and it looks like she has secured at least one seat in the Senate, possibly up to four. With over 60 per cent of the votes counted, the party has so far drawn 134,000 first preference Senate votes in her home state of Queensland, and 113,000 first preference votes in New South Wales. For many critics, it’s possibly the most unexpected result of the election. For others, it’s been a long time coming. Cheryl Reeves is 40 years old, happily married for 22 years and has two teenage children. 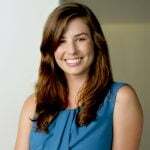 She grew up on a farm in Northern New South Wales and describes herself as a Christian woman who loves Jesus, her husband and her kids. She now lives in Caboolture in Queensland where she has lived for four years, in the electorate of Longman where there is a ‘big One Nation vote’. Cheryl told Mamamia she voted for an independent candidate for the House of Representatives and One Nation as her first preference for the Senate. “I am unhappy with the two major parties,” Cheryl said. “They need to fix the mess, not Pauline,” she said. Cheryl admits she thinks “everyone would prefer there was a better option”, but she doesn’t feel there is one. “Pauline will shake things up,” she said. As far as whether Cheryl feels passionate about One Nation’s policies, Cheryl said ‘there is no particular policy or law or ideal she is hoping [Pauline Hanson will pursue]’. “I have no expectations of her except that I hope she will be a thorn in the side of both sides of parliament,” Cheryl said. That’s the clincher – Cheryl believes the people who voted for One Nation don’t feel heard. It’s at this point that I realise I could easily be speaking with someone who voted in favour of Brexit in the UK. I could be speaking with someone with a similar background, who has grown up on the land, living in the US, who wants Donald Trump to become president. It’s clear Cheryl feels disenfranchised, forgotten about and as though her government doesn’t care about her. “I come from a farming family and background, I grew up on a farm in northern NSW and a lot of my family are still on the land,” Cheryl tells me. Cheryl tells me that ‘Pauline went and took the time to really travel around and talk to people in outback Australia’. She paints her with the descriptors ‘wonderful’ and ‘caring’. “She was wonderful about sharing [her travels] and answering questions on Facebook. That really helped to make people feel heard and supported by her. I point out that Pauline Hanson and the policies of One Nation have been identified as inherently racist, particularly the party’s policy to ‘ban the burqa’ and stop people of Muslim faith from entering Australia. Cheryl tells me she doesn’t want to ban the burqa and has nothing against the Muslim faith. “Islam is not a race, it’s a religion. I am a Christian and have no issue with someone being Muslim, I don’t want to ban the burqa or stop people having access the halal food,” Cheryl said. Cheryl tells me she is a Christian she is “involved in supporting Christians who are being persecuted by Radical Muslims in many different countries around the world”. “My heart is aching for those Christian families and I want to be sure Australia remains a country where I am safe and protected in my faith”.